Hi, I’m Yandra! I just want to say a huge thank you for visiting my website! Founded in 2016, Smartnancials.com (formerly Sheblogsaboutjobs.com) is a website that focuses primarily on helping you develop an awesome relationship with your money which, by extension, will help you to live a more fulfilling life. Smartnancials is about helping you dream big and achieve even bigger results. Helping you improve your financial life and knowledge so that you and your family can live well. To be more specific, it’s about trusted ways to make more money, save on the things we NEED to save while still living a fulfilling life and trusted ways to invest to have our money working for us, instead of the other way around. On this site, I won’t show you ways to save money by depriving yourself of the good things in life, my mission is not to show you ways to feel deprived…I endeavor to help you expand your means and actually live life to your fullest capacity! 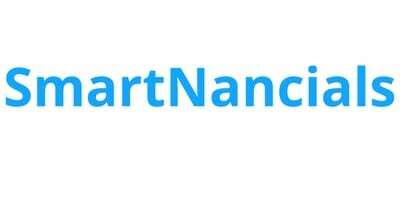 Smartnancials is for you if you want to learn about any of those things above and you want to finally take steps to improving your life and finances and being in control of your life once and for all! I am a 20 something-year-old with a passion for learning as much as I can, and for teaching others about money. I’ve always had a very independent spirit and have never much wanted to get a job. For as far as I can remember, I have wanted to work for myself. I’ve started a few great brick and mortar businesses with my partner over the years and read hundreds of ‘useful’ financial books. I have a thirst for knowledge and a desire to share what I learn. That’s money..or I should say, your relationship with money. Our society is set up in such a way that money plays an integral part in all our lives. It directly affects our lifestyle, the quality of our health and health care, our education, the clothing we wear and even to some extent, the information we have access to. It is my mission here on Smartnancials to help you live the best life possible by first showing you how to make more money, then save money where you need to, and helping you become more financially literate. The tips I share on smartnancials.com are from personal experience, studying the world and how people interact and live in it, and from my immense knowledge of reading numerous financial books and listening to hundreds of financial audio books! I can’t wait for us to connect! Email me at [email protected] if you want to get in touch!